The Milgram Re-enactment is a film of the re-enactment of Dr Stanley Milgram's infamous 1961 social psychology experiment 'Obedience to Authority'. Where participants were asked to give apparently lethal electric shocks to an unwilling victim to test how far they would be prepared to obey an authoritative scientist and inflict pain on a protesting person. 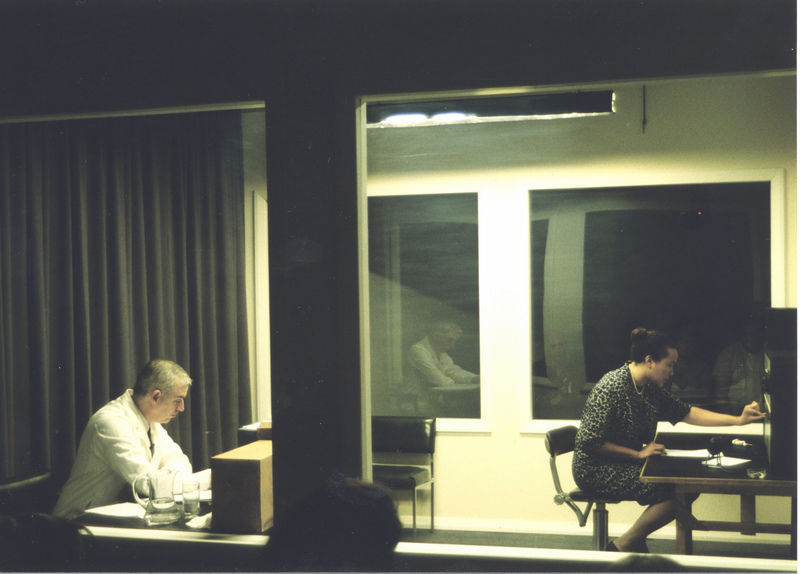 The Milgram Re-enactment was commissioned by the Centre for Contemporary Art, Glasgow, where it took place on February 17. 2002. 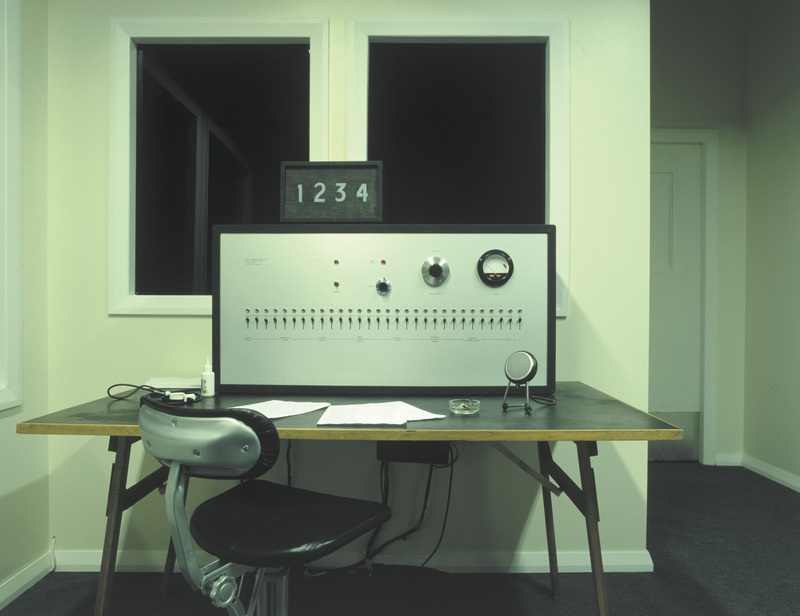 Created from transcripts of the original experiment, the re-enactment included an exact facsimile of Milgram's Yale Interaction Laboratory, and of the 1960s electro shock equipment that he used in the experiment. The original experiment was laden with artifice (fake electric shocks, actors playing scientists, pre-recorded screams of pain), and was itself a coded re-enactment of events that took place during the holocaust. The re-enactment set up a further set of iterations through time and space; actors playing the role of actors, the repetition of the experiment as a live performance eight times in real time. The Milgram Re-enactment continues Dickinson's on going exploration into the structure and mechanisms that underpin systems of belief and social control. "I think a strong feature of the re-enactment is that ,while being faithful to the original experiments, is that it went beyond Milgram's documentary... successfully blending art, science and history"